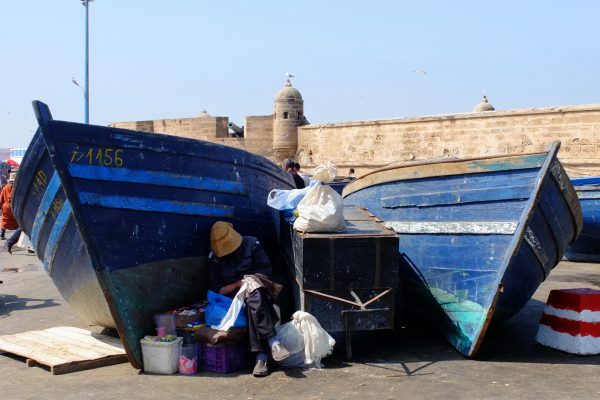 Essaouira is a charming coastal town located 2 hours west of Marrakech, st at the Atlantic coast. 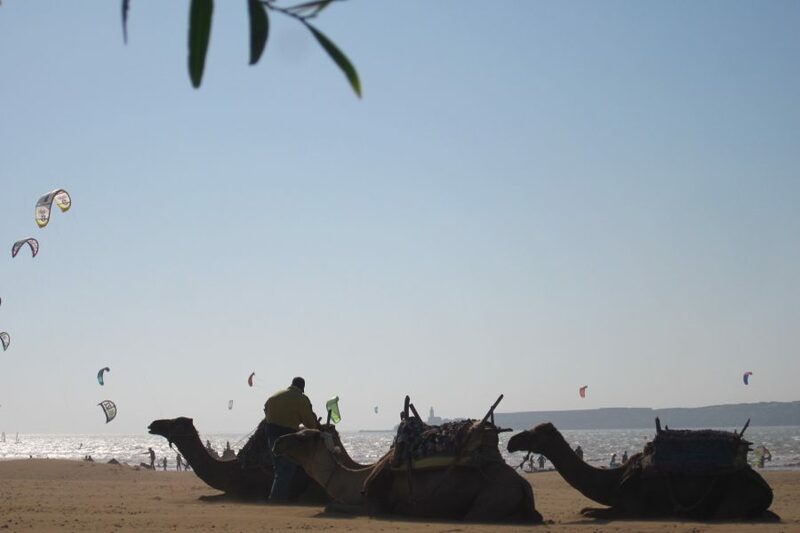 The city is consisted of a 10 kms sandy beach ( windy most of the time ), offshore islands, a fishing port, and a walled Medina with great Portuguese architecture. 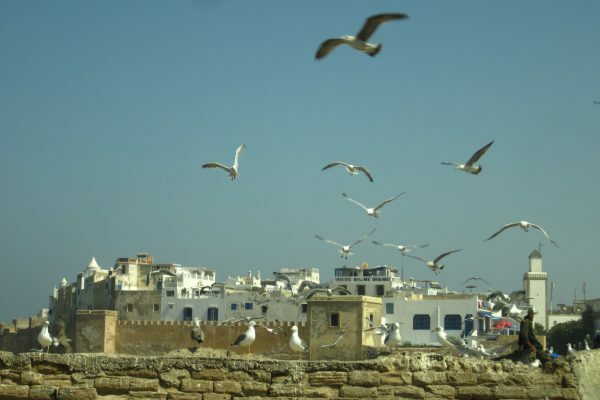 Your budget day trip to Essaouira from Marrakech on a shared basis will start with a pick up from your Marrakech hotel or riad at 08h00 AM. 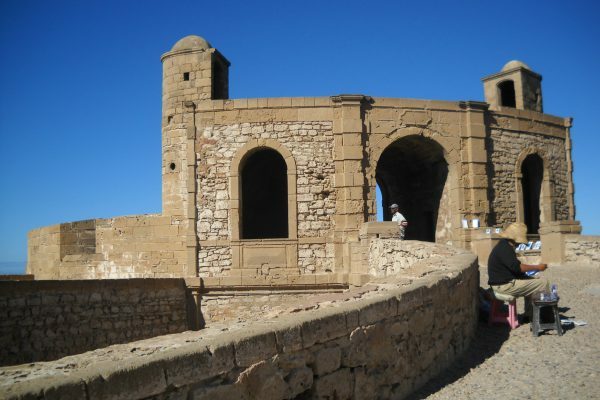 You will first stop at the town of Chichaoua for a coffee break before you continue to Essaouira. 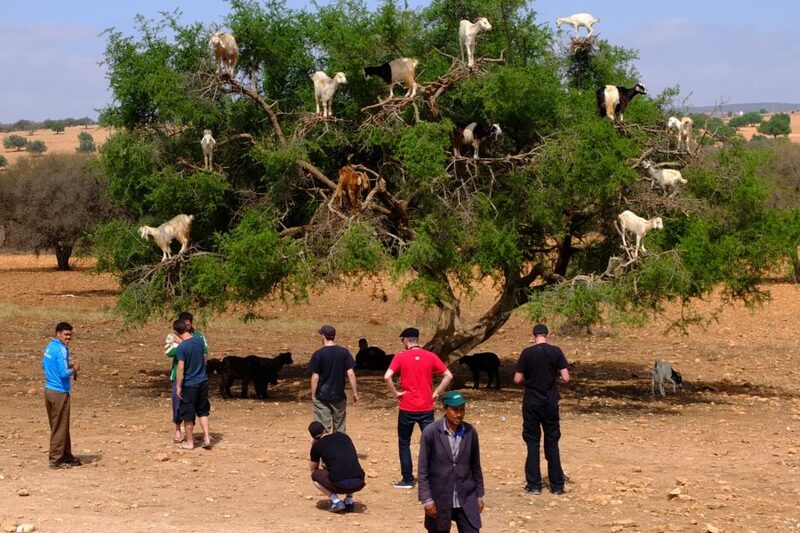 Along the way we shall stop to see the argan trees where small goats clamber up the low branches and feed. it is fascinating sight and an absolute must when it comes to getting a photo opportunity. 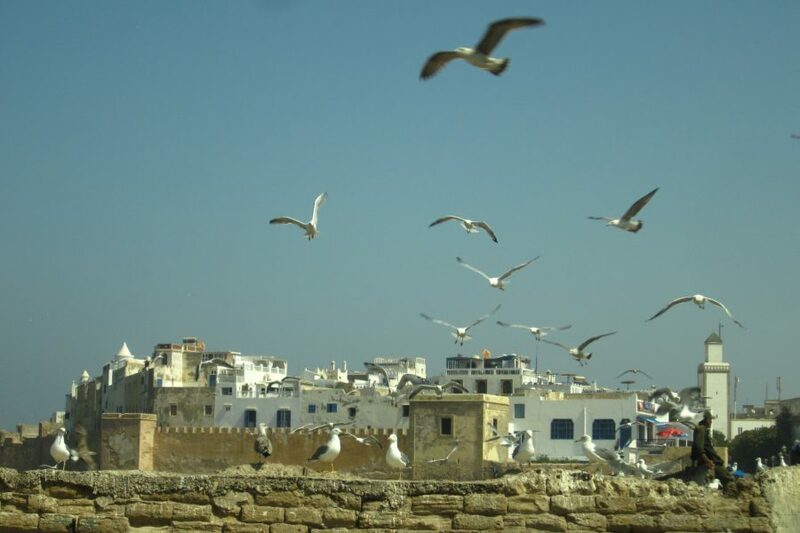 Upon arrival at the town, walk through the labyrinthine streets of the Medina while enjoying Gnaoua Muic played atevery corner, and watch the craftsmen making some beautifl thuya wood crafts. 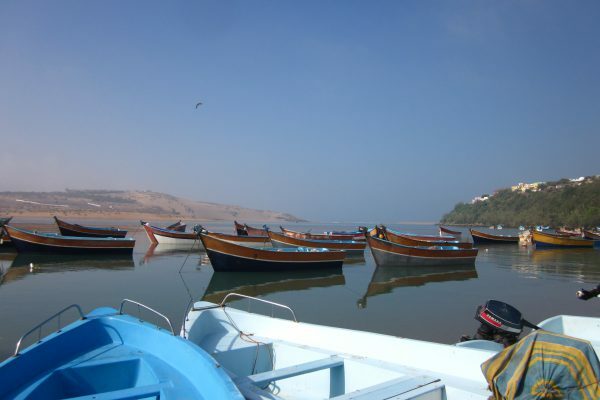 From here, you will continue to the fishing port where you will watch local fishermen selling their day catch of fresh seafood. After time at leisure for a seafood lunch in the port, and maybe a walk along the beach, drive back to Marrakech. On the way back, visit a local Berber ladies cooperative processing Argan oil, AKA the liquid gold. Your budget excursion and day trip to Essaouira will with a drop off at Jamaa Elfna Square, Gueliz or your hotel. 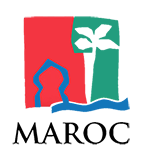 Pickup & drop off from your hotel / riad ( located in marrakech ) . A/C modern minibus, with an english/French speaking driver. Lunch between 5 to 10 €.